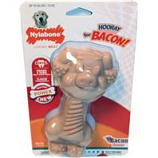 Since 1955, Nylabone Products has produced the finest quality dog chews, treats, dental bones and toys. While your dog enjoys hours of chewing fun, these special chews help to remove plaque build-up from his teeth and gum line. Innovation continues to thrive at Nylabone Products....in the award winning Fold-Away Pet carriers, Collapsible Doghouses, and many interactive toys. Highly digestible. Supports brain and eye development. Made in USA. . .
Discourages destructive chewing. Fights boredom. Helps clean teeth and freshen breath. Flavor throughout. . Shake toy for giggle sounds. Nubs help clean teeth. Discourages destructive chewing. Fights boredom. Provides long lasting enjoyment. Discourages destructive chewing. Fights boredom. Helps clean teeth and freshen breath. . .
• Durable Chew For Dogs Features A Soft Portion With A Minty Center For Easy Carrying. • The Ends Are Durable For Powerful Chewers. • The Small Nubbins Gently Clean The Teeth. • Bristle-Like Projections Raised During Chewing Also Help To Clean The Teeth. The ergonomic design provides an easy hold and chew shape. Wide opening for chewing on all three ends. Discourages destructive chewing. Helps clean teeth. . Designed for teething puppies this puppy chew toy helps encourage healthy chewing habits. Discourages destructive chewing. Engages and Entertains. Helps clean teeth and freshen breath. .
• Intended For Use By Powerful Chewers. 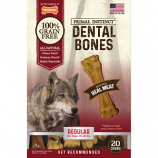 • Be Sure To Get The Right Chew and Size For Your Dog S Particular Chewing Style. • Bristles Raised During Chewing Help Clean The Teeth and This Cleaning Action Helps Control Plaque and Tartar Buildup. Discourages destructive chewing. Engages and Entertains. Nubs help clean teeth. Flavor throughout. .
Made with real meat. 100% grain free. All natural. Cleans teeth freshens breath. Highly digestible. This strong chew toy is ideal for dogs who enjoy some flex and give. Discourages destructive chewing. Engages and Entertains. Helps clean teeth and freshen breath. .
Discourages destructive chewing. Engages and Entertains. Made with real wood bark texture helps clean teeth. . . Flavor throughout. Ridges and nubs help clean teeth. Discourages destructive chewing. Fights boredom. Helps clean teeth and freshen breath. 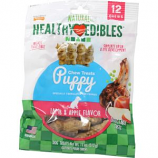 • Nylabone Healthy Edibles Are Tasty, Completely Edible and Digestible Providing A Safe and Enjoyable Alternative To Tradition. • This Product Contains No Plastic, No Added Sugar, and No Added Salt.